The main reason that I bought the Avoca Salads cookbook (Avoca Ltd, 2008) is for their Avoca French salad dressing recipe. Avoca is a beautiful store and café in Dublin (www.avoca.ie). I’ve modified this recipe for the Thermomix. It makes a smaller amount and it has less oil, so it’s slightly runnier than the original. 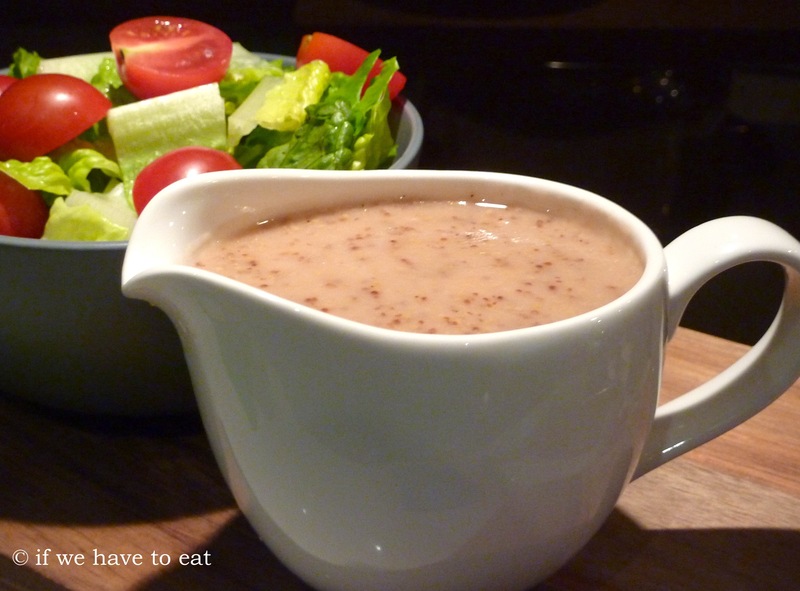 This entry was posted on December 8, 2013 by ifwehavetoeat in Pantry and tagged Dressing, Easy, Fast, Mains, Pantry, Recipe, Thermomix.